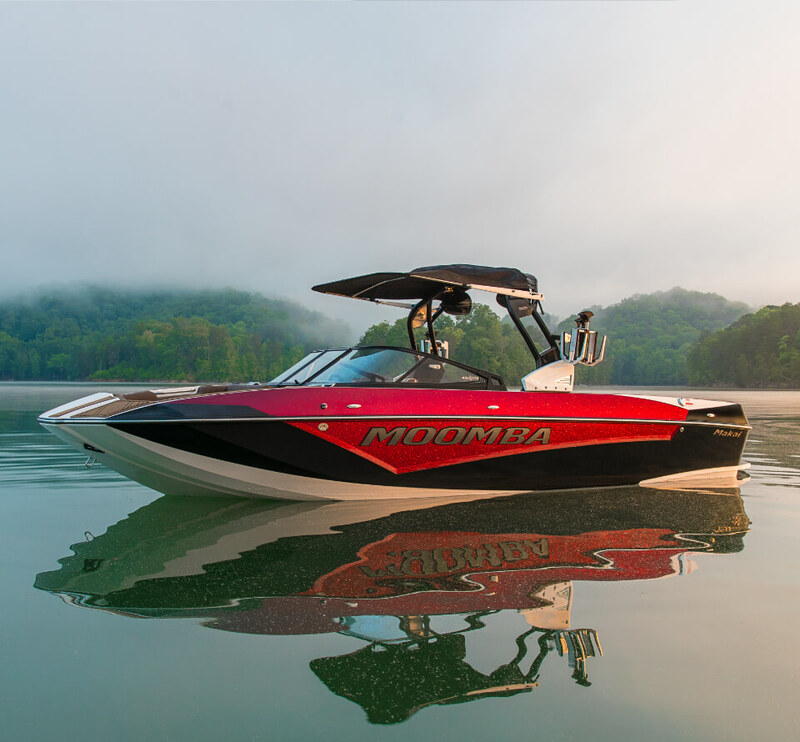 We put comfort and, style and control at the top of our list when it comes to making every ride in your Moomba® a moment worth remembering. In 2019, a stylish new dash design with 7” touchscreen display puts even more within reach from the driver’s seat. 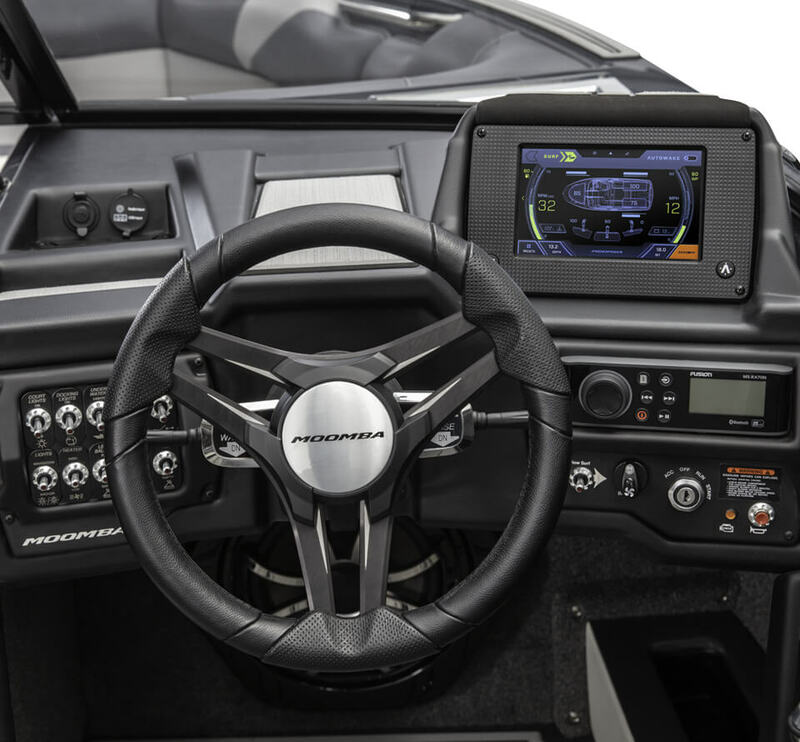 Standard on the Makai, Craz Pro, Mojo, Craz, and Mondo, the touchscreen display is offset to give the driver unobstructed views, while offering one-touch toggling between home, control, AutoWake® and Navigation views. 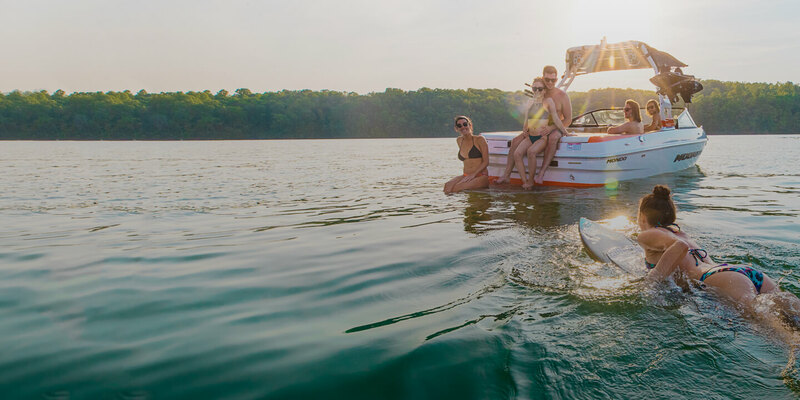 Every Moomba comes equipped with marine-grade components like Bluetooth® Fusion® Stereo and 6.5” Wet Sounds™ speakers designed to keep the music flowing for years to come. If there’s not a little water somewhere in your boat, you’re not in the Moomba state of mind. That’s why every Moomba comes standard with plush quick dry carpet that snaps out in seconds for cleaning. Choose our plush, non-skid flooring from GatorStep if you’re serious about extreme durability, comfort and increased traction for long days on the water—and it cleans up quick and easy when you’re done.  For 2019, Moomba upgraded to all-new premium textured vinyls featuring more colors than ever before. 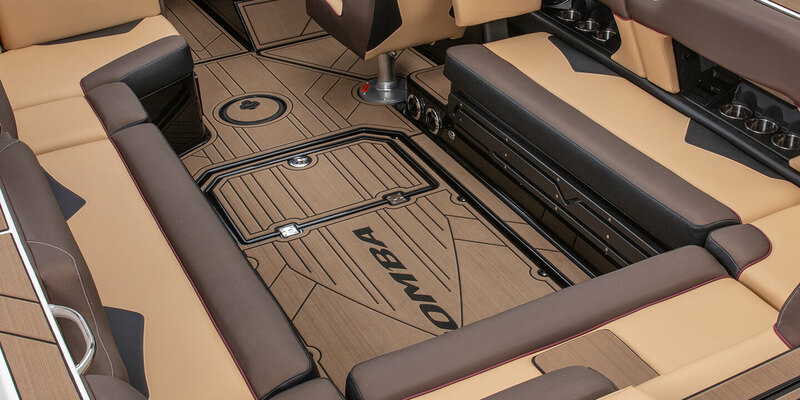 The standard convertible sliding rear seat that comes on every 2019 Moomba is equal parts convenience and smart design solution. 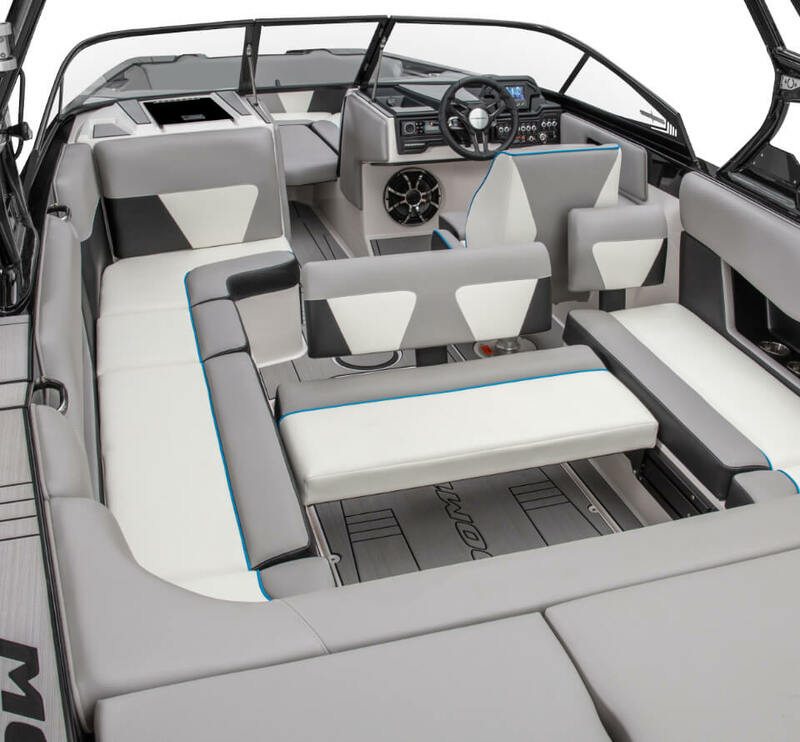 This comfortable seating configuration quickly converts from a traditional bench to a rear-facing seat for passengers to catch the action behind the boat. 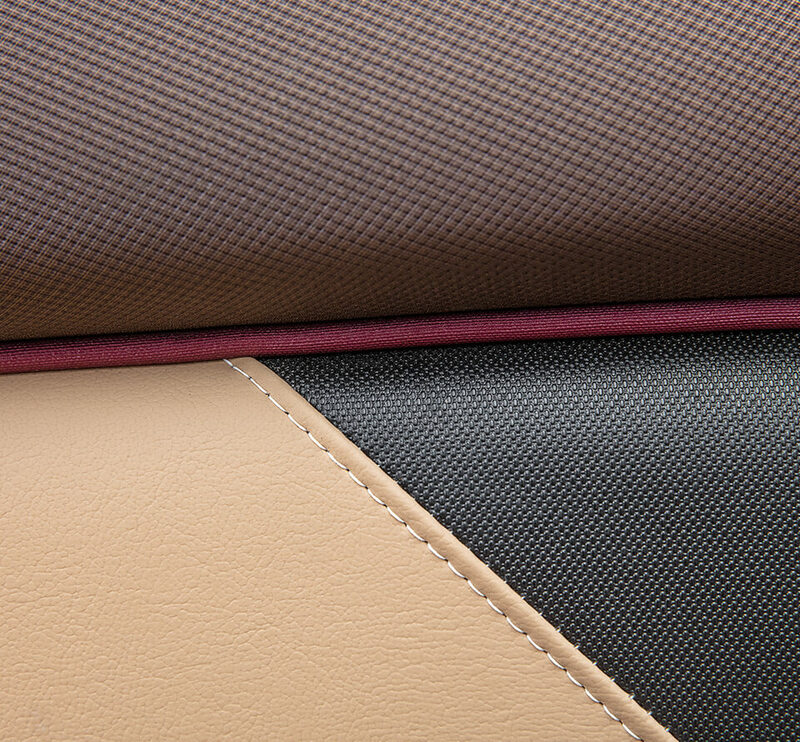 An optional backrest kit adds even more comfort to this stylish feature. The Moomba A3 Tower was designed to work quickly and easily — and look good doing it. Featuring easy fold assist, optional bimini and multiple board rack options, Moomba logo lighting and color accent options, the A3 tower is another standout standard feature on every Moomba towboat. We’ve upped the Moomba tower game with the stylish and high performance all-new Pro Tower with fold assist, available on the Makai and Craz Pro. 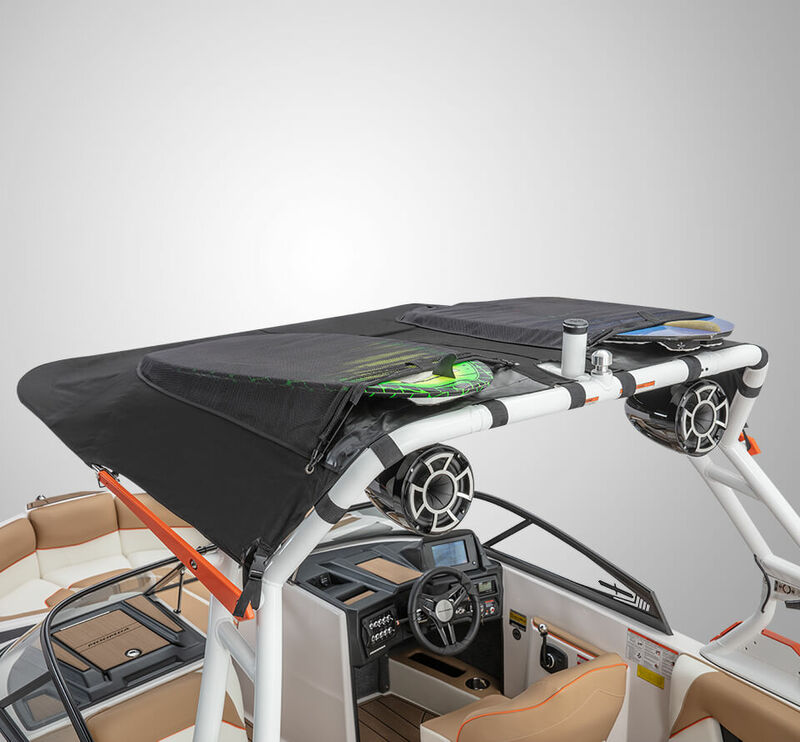 With LED lighting, bimini with surf storage and surf pylons on either side, it’s a sleek and versatile tower that folds up or down with ease.